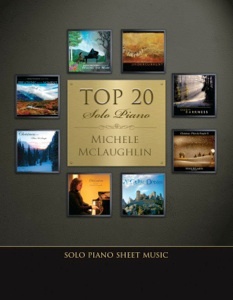 The Top 20 solo piano songbook is the companion sheet music book to Michele McLaughlin’s 2015 recording by the same name. The recording is a collection of Michele’s most popular pieces from 2008-2015 and draws from eight albums. These are Michele’s most-played songs on Pandora Radio and Spotify as well as the most-purchased songs on iTunes, Amazon and directly from her own website. All of the pieces have been re-recorded and re-mastered to have a consistent sound and to incorporate any small changes to the music Michele has made since originally recording it. 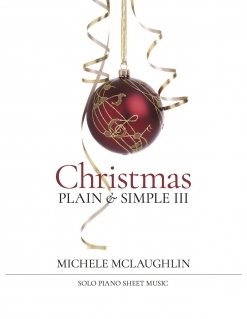 So, even if you have all of Michele’s previous songbooks, the versions in this book are the latest and this collection contains her most popular pieces in one big, beautiful spiral-bound book. The book includes full-color covers, front and back, as well as a bio and photo of Michele. The songs are in alphabetical order, as they are on the recording, and all of the transcriptions were re-done by John Zechiel and proofed by me to ensure that they are as close to the new recordings as possible. Most pianists at an upper-intermediate and early-advanced level should have no problem mastering this music. The notation is roomy and easy to read with detailed expression markings and suggested pedaling. 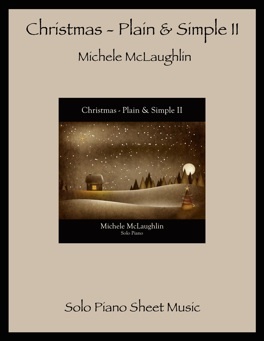 Michele’s music tends to be very emotional and expressive, making it fun and relaxing to play for pianists of all ages. 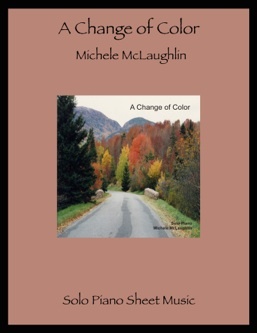 The book is available as a printed or digital book from michelemclaughlin.com. Recommended!